When you arrive at Johnson Chiropractic, you’ll be greeted by a member of our front desk staff or by Dr. Johnson. They’ll show you the paperwork you’ll need to fill out. Alternatively, you can bring these forms in with you completed by downloading them from our website. Please bring your driver’s license and insurance card with you. After your paperwork is completed, you’ll be taken back to the private examination room. Here, Dr. Johnson will talk about your health history and chief complaint. You’ll find out what your insurance benefits are before any costs are incurred. 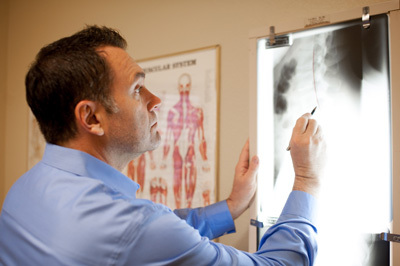 If you decide you want to continue, we’ll do a physical examination which includes X-rays. You’ll then have a form of therapy to help alleviate your symptoms immediately. This appointment takes 45-60 minutes. At your second appointment, we’ll get in-depth about the cause of your symptoms and our recommendations to resolve them. This is the time when you may ask any questions concerning your condition, therapies or financial obligations. Once you agree on a plan of care, you’ll have a chiropractic adjustment. You’ll check out at the front desk and be on your way in 30-45 minutes. Let’s work together to improve your health. Contact Johnson Chiropractic today! We have same-day appointments and late opening hours available.